... the PANTS she's wearing under it. Yes, pants. I know, I know, I just got carried away because it's been a while since someone surprised me with an outfit. So, let's rewind a bit. Janhvi Kapoor, amongst other Bollywood biggies, graced the red carpet at the 25th SOL Lion Gold Awards in Mumbai last night and to say she rocked it would be an understatement. To be more accurate, she knocked it out of the park and her innovative Anamika Khanna outfit takes the credit. The Dhadak actress (who won an award for Best Debutante BTW!!) slipped into a kitschy choli and lehenga for the night... or did she? Her sheer ghagra had a surprise in store in the form of statement skinny pants she wore underneath. 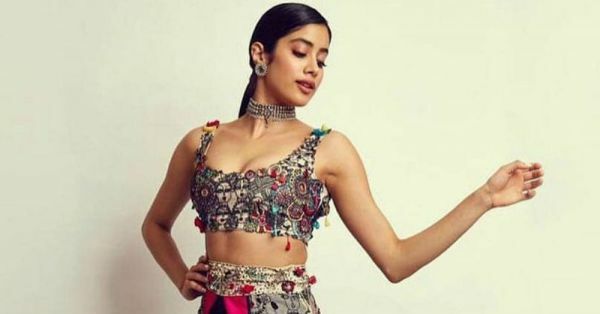 Looks like Janhvi Kapoor tore a leaf from cousin Rhea Kapoor's book and turned the statement factor way up with this lehenga. A high-waisted sheer skirt with folksy caricatures and rangoli patterns embroidered down the length of it, the piece also featured a longer, floor-sweeping hemline and a chunky embellished ivory belt. But most importantly, it featured a waist-high centre slit that revealed a pair of slim black cigarette pants Janhvi worked underneath. With complementary colourful booti style threadwork, the black pants cast a spell on us that cannot be lifted. Just a couple of weeks back, Julia Roberts walked the red carpet in a gown that also revealed a pair of pants - but it didn't end up making a mark quite as unwashable as Janhvi's brilliant Anamika Khanna ghagra-pants. Go, Janhvi! 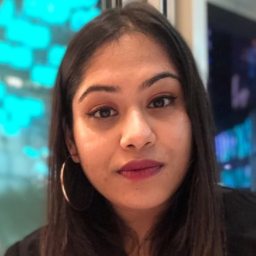 Everything, including Janhvi's sleek side-part low ponytail, minimal makeup and distinctively long lashes, worked in perfect rhythm with the rest of the ensemble to give off a warrior-princess vibe. Ladies, wedding season ain't over yet. So, call your masterji and take a risk, will you?